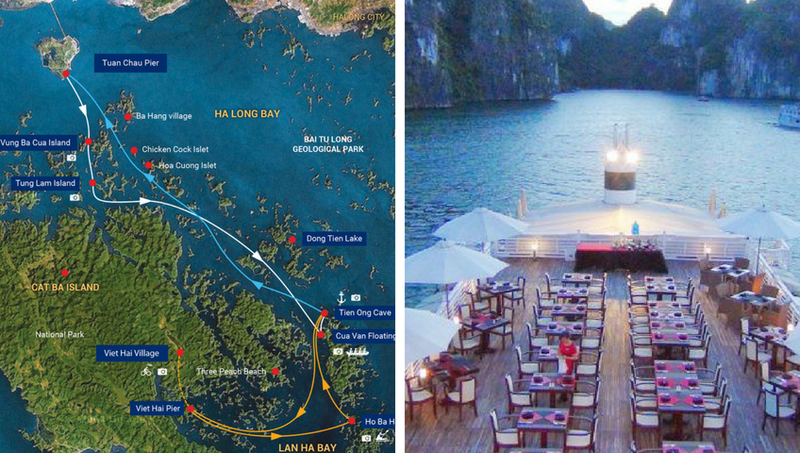 Launched in 2012, The Au Co is the only cruise operator in Halong Bay offering continuous three-day cruise in a single trip through the Gulf of Tonkin, covering world-renowned Halong Bay & Bai Tu Long Bay. In addition to bringing the guests to the most remote parts of the area to provide them with an exclusive itinerary, The Au Co features state of the art design in safety and luxury. The fleet is composed of 2 luxurious ships, boasting 32 spacious private cabins each with fully equipped bathrooms and panoramic balconies. Grab your chance to explore Halong Bay – Natural Wonder, a UNESCO World Heritage Site of cultural and historical significance – on a unique 3 days 2 nights cruise with The Au Co. With a wide range of activities onboard and extra, The Au Co promises you a most memorable experience while discovering the Gulf of Tonkin and enjoying your time. 15.00: Explore Dark & Bright Lagoon by bamboo boat or kayak. Optional: Traditional massage (chargeable), sunbathing on board or swimming around platform in Dark and Bright Lagoon. 17.30: Bar opens for the Happy Hour "Buy one get one free". 18.00: Traditional cooking demonstration on sundeck (or in the restaurant if weather does not allow) while The Au Co cruises back to overnight area. 21.00: Free time to be spent watching movies in the restaurant, squid fishing at reception. 09.00: Arrive at Cat Ba Island. Cycling and exploring the tropical junk in national park with local guide. 12.00: Enjoy lunch in Ha Long restaurant while The Au Co slowly passes by beautiful karst towers. 15.00: Visit Ho Ba Ham area by kayaking (If weather does not permit, alternative: Ang Du area).16.30: Back to the boat for relaxation on board. 17.30: Make the most of an extended Happy Hour (buy 1 get 1 free). 19.30: Enjoy the barbeque buffet in the restaurant while the boat is at anchor. 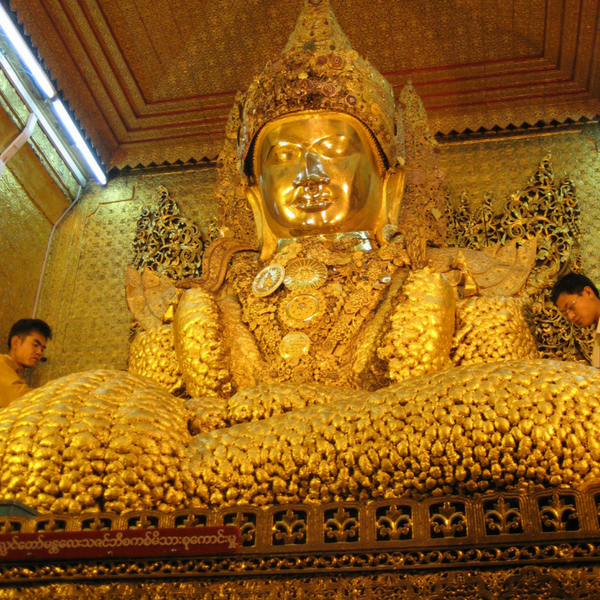 08.00: Explore one of the biggest caves in Ha Long bay, beautiful stalactites and stalagmite in Surprise cave. Embarkation time: 12.15 am. Disembarkation time: 10.30 am. Pick up time: 7.30 – 8.00 am. Drop off time: 16.30 pm. Wifi is available onboard for free of charge in the terrace deck. However, interruption is expected due to nature of internet signal at sea.